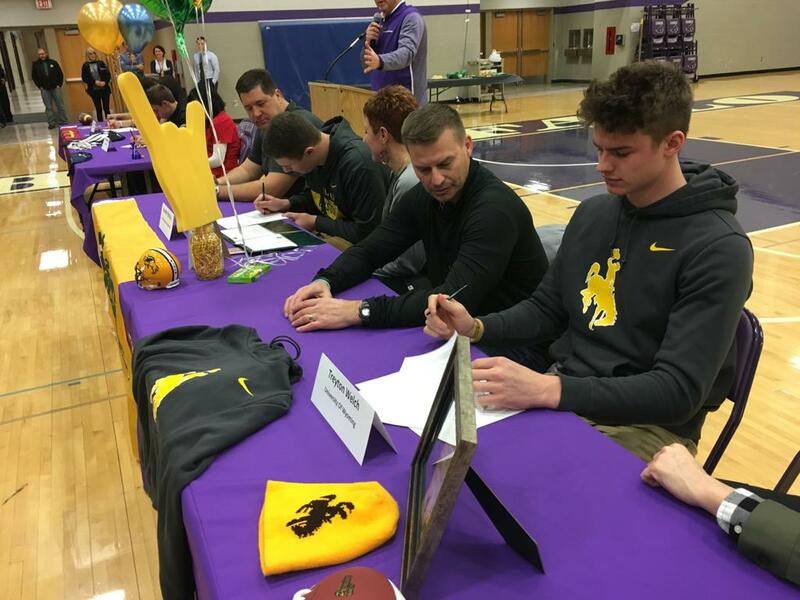 With his father, Vince, seated next to him, wide receiver Treyton Welch of Buffalo High School signed a national letter of intent to play football for Wyoming. Photo by Jim Paulsen. There’s a list of goals on the wall of senior Treyton Welch’s bedroom that has been there since he was in middle school. Welch recited them from memory. 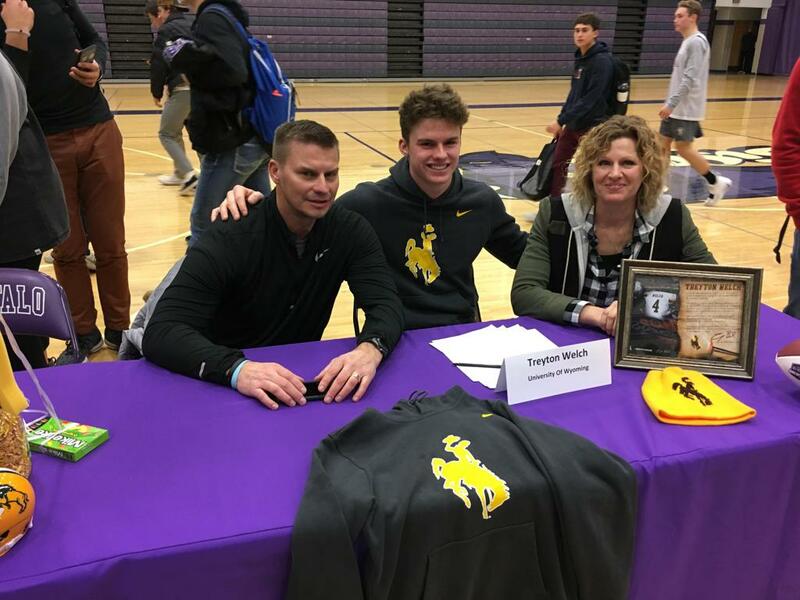 Welch disclosed his college choice Wednesday morning, announcing on Twitter that he decided to play for Division I Wyoming. He was recognized Wednesday afternoon in the high school gym alongside three of his football teammates who will also play college football — offensive lineman Hunter Poncius (North Dakota State), Jack Munsterteiger (Concordia-St. Paul) and Logan Grossinger (Northern St.). The glue-fingered Welch had kept friends, media and college coaches in the dark about his plans until sunrise on signing day. The reason? There was still hope for an offer from a Power Five FBS school. Minnesota dangled a preferred walk-on spot. Nebraska and Iowa had him in wait-and-see mode. 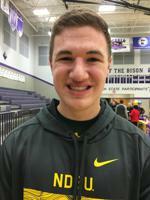 Area FCS schools such as North Dakota State, North Dakota, South Dakota State and Northern Iowa had made offers. But the uber-talented Welch held out for a little more. When they didn’t, he turned to Wyoming, which had been after him from the outset. Buffalo coach Todd Boumann, an NFL quarterback for 13 years, said he expects Welch will have the FBS teams that didn’t offer him a scholarship regretting their decision. “He’s the most naturally gifted player, the most gifted athlete, I’ve ever coached,” Boumann said. There’s one more yet to reach goal on Welch’s list: Play in the NFL. “That’s next,” he said with a smile.